You might have all the job qualifications listed in the eligibility list, have enough academic credits to show off, but aren’t able to gather why you’re still getting rejected for jobs one after another. Maybe it’s time you get some essential job tips to see some improvements. Let’s get a harsh reality check! Simply having the correct job qualifications might not land you with a good job. Let’s think it this way, everyone who’s applying for the jobs (that you applied for) have the same job qualifications as you; more or less. Then there must be something other than just qualifications that’s deciding your fate? Let’s try to decipher what that could be. 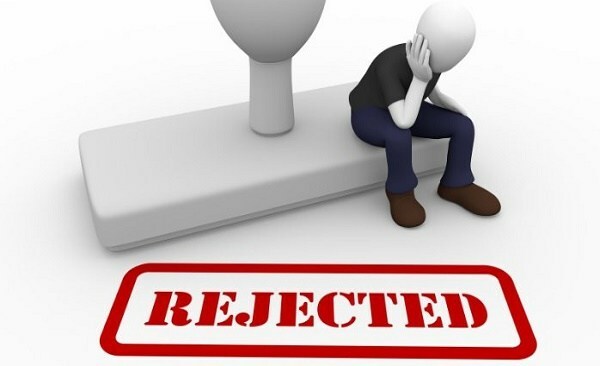 We are listing 5 probable reasons why you might be getting rejected despite the right job qualifications. If you identify with any of them, you need to quickly rectify them before applying for your next job! Having a positive and polite attitude is a must throughout your communications with your recruiters. If you are replying to their emails abruptly or not addressing them properly, it might take a toll later on. When you are there for the interview, talk politely to the receptionist and even the helping staff. Other things that speak about your attitude is, being punctual. Whether it is for replying to emails, calling back when asked for, or for the interview itself. Valuing other’s time speak volumes about your attitude. Are you following the appropriate resume tips while customizing your resume? Are you customizing your resume at all? Yes, it is as much important as having all the right qualifications. A haphazardly gathered resume isn’t appreciated by recruiters. It doesn’t only doubles up the time which it takes to understand you as a candidate but also reflects that you aren’t that much interested in the job. A proper resume guide can help you with this. Read more to know the Importance of a quality job application and why you must prepare it well. Almost all recruiters have their own set of rules applicable to all candidates. Sometimes it can be for the resume, the cover letter, or instructions to be followed in general. If you are forcing your 3-page resume to the company when it clearly demands a summarised 1-page, you significantly decrease the chances of getting the job. You need to take care of minute directions as well. For example, when the company asks you to be present half an hour before the interview for document verification, you should be there! This is one of the most important fresher tips you can get from any fresher guide. No company wants nuisances around their office. And to ensure the same, social media accounts are being scrutinized these days to track down the general character and habits of the candidates. So, if your social media profiles reflect a cool but not-so-suitable-for-work life, you need to analyze and fix it at the earliest. There is cut-throat competition in the job market and if you are depending just on your qualifications to get a great job, that’s unfortunately not enough. Don’t settle with conventional when the world demands modern. To ensure you are not making this mistake check Are you following these steps for your job application process? It doesn’t reflect that your qualification doesn’t count much but just that you need highlighters along with, to stand out among all other candidates with same job qualifications. Give your recruiter confidence to choose you as an employee. Also Read: 6 Things You Can Do To Impress The Recruiter Even Before You Appear For The Interview. Buckle up and make sure your next move is free of all the above errors and brings in your job offer letter soon!